March 21, 2019 (York Haven, PA) - It’s routine for BAPS Motor Speedway management to pump six figures into offseason improvements that benefit race teams and fans. That same commitment will carry over to the 2019 regular season, which will be the biggest in the history of the Newberrytown oval in regards to payout. 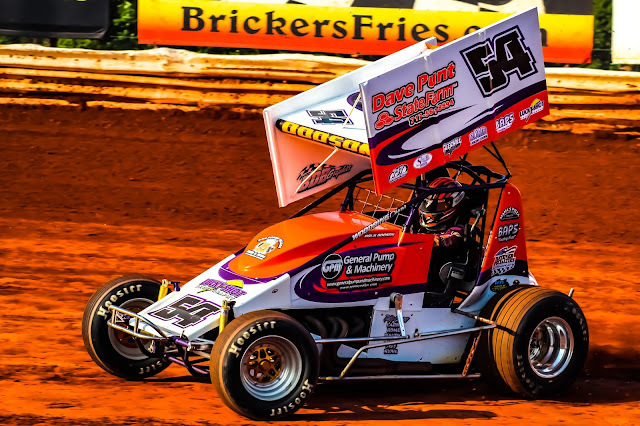 BAPS Motor Speedway will dole out $751,950 in prize money to race teams this season. The funds will be distributed across the speedway’s staple divisions, the Super Sportsman, Late Models, and Street Stocks, as well as special shows featuring the 410 Sprint Car, Super Late Model, and Modfied classes. “One of our goals going into any offseason is to figure out what we can do for the race teams,” speedway general manager Kolten Gouse said. “This year, we wanted to add money at the payout window to show our appreciation for the teams that visit the speedway in our core divisions. The Super Sportsman class, which kicks off its season this Saturday with the Legends, has four high-paying shows on the slate. Leading the way is the Blazer’s Body Shop Bud Bricker Nationals presented by MJR Equipment. The event, which takes place May 25, pays $6,500 to the winner and is highlighted by the Hall of Fame Induction ceremony. Other high-profile events include the Dellinger’s Auto Body Firecracker 30 (June 29) paying $2,500 to the winner and the Dirty 30 presented by Dirty Deeds Repair (Sept. 28), which pays $3,000 to the champion. The Gary Wolford Super Sportsman 100 (Sept. 14) is the most prestigious race for the division and pays $4,000 to the winner. The Late Models take center stage on Jul 27 with the running of the Creekside Auto Sales Smokey Frye Classic presented by Labarron’s Auto Salvage. The winner of the event will receive $4,000. In the Street Stock division, MJR Equipment stepped up to help sponsor the first ever Triple Crown Series over three nights of racing. It kicks off May 4 and continues July 6 and Oct. 19. “It’s important to take care of our main Saturday night divisions,” Gouse said. “They are the staple at the speedway and are a big reason for our success. Speedway owner Scott Gobrecht and Gouse also know the importance of bringing in other divisions for premier shows. Capitol Renegade will sponsor the United States Auto Club’s visit to the track on June 13 as a part of Eastern Storm. The Ollie’s Bargain Outlet All Star Circuit of Champions invade the track on Aug. 25 for the Justin Snyder Salute to the Troops, which adds to the national appeal of the speedway. The biggest event on the schedule for the 410 Sprint Car class caps the season on Nov. 16. This year, the Goofy’s Eatery and Spirits Sprint Showdown could draw some invaders with $10,000 awaiting the winner. This year’s Sprint Showdown isn’t the only $10,000 first-place check being handed out. The 18th annual York County Nationals presented by Insinger Performance/Sunoco Fuels will showcase the Short Track Super Series for Modifieds. The event takes place on July 14. A new addition to the schedule this season is the Myers RV Superstore Monster Truck Mania Tour. It takes place on June 15-16. “Our goal at BAPS Motor Speedway is to provide the best possible racing experience for our fans and race teams,” Gouse said. “The sponsors we have in place are important in trying to reach that goal this season.